The Brick Castle: Write Size Pencils - the right size for children's hands. 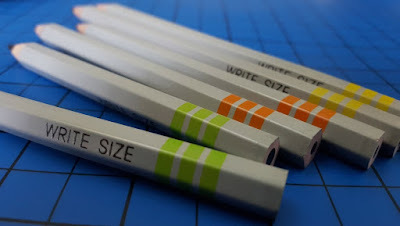 Write Size Pencils - the right size for children's hands. Write Size are a range of differently sized children's pencils designed especially to help with handwriting. There are 3 sizes, each with specific design features to help younger children learn to write neatly without the frustrations standard pencils can pose. 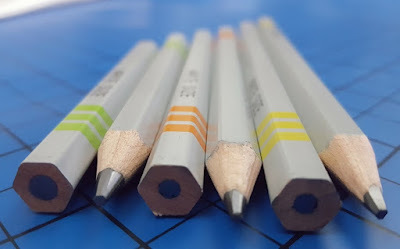 I first saw Write Size Pencils at Blog On September, and I was really interested. 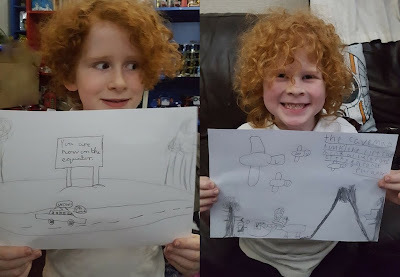 Having watched and helped all of our children learn to write, we've had many struggles with grip, or pencils with lead that snaps every 15 seconds. 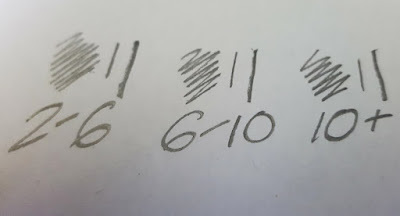 I was really intrigued to see how Write Size were different, and how that works in reality. 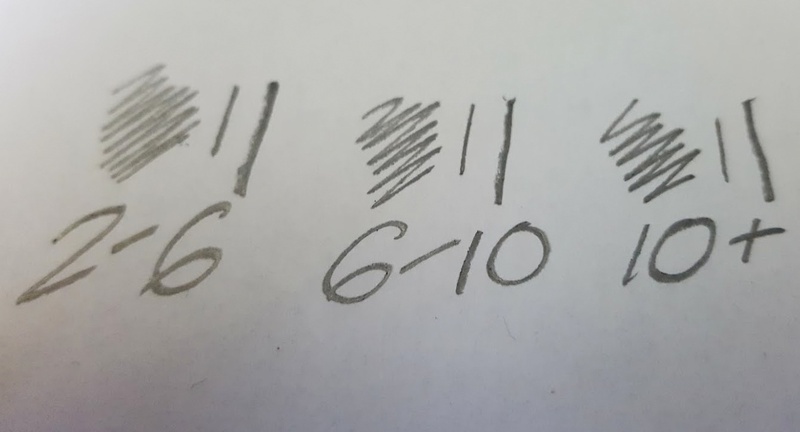 The 3 different age ranges are 0-6, 6-10 and 10+. 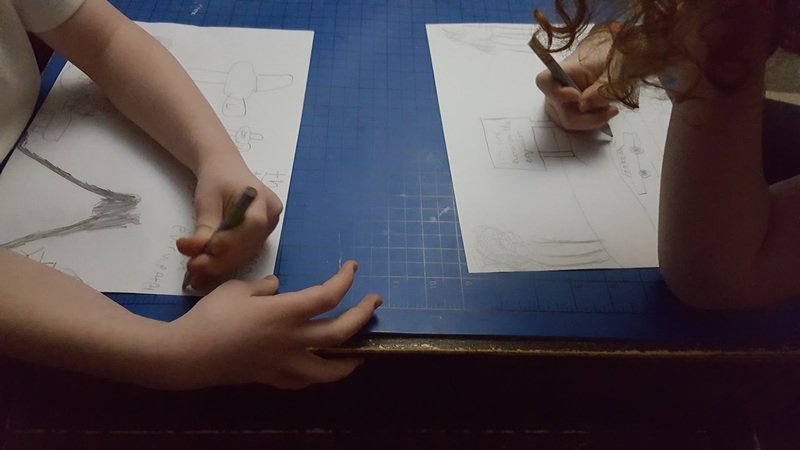 The pencils all have quite chunky extra-durable graphite, so they will survive a few drops onto the floor, but the smallest have extra thick graphite - you know how often they get dropped, and there really isn't anything more frustrating than sharpening a pencil with graphite that's already broken inside, or having to regularly sharpen constantly snapping pencils. The pencils are octagonal, which fits a small clenched hand more comfortably, and are a little larger than a standard pencil. The finish is soft, and they really are a nice pencil to hold. The Write Size pencils are also different lengths for different ages - which makes them far more manageable for tiny little hands. 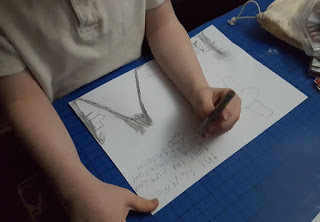 When writing is easier, it's more fun, less of a chore and your child will spend a lot longer doing it. My 6 and 8 year old boys really like the Write Size pencils. 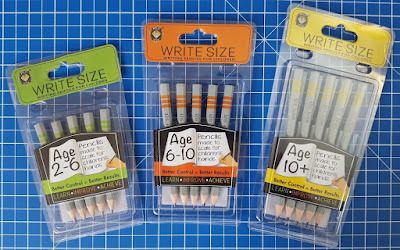 They've found them easy to use and the tips have definitely stayed sharper than usual pencils. They do feel nice in your hand, and the soft graphite is a pleasure. 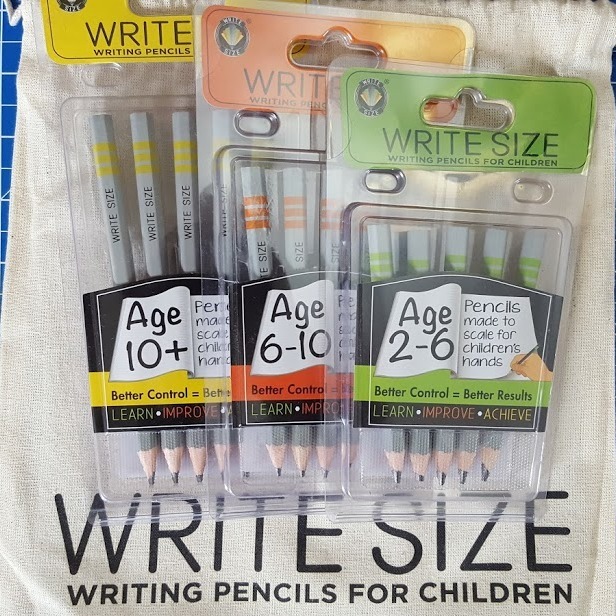 Write Size pencils are available in packs of 5 for £3.99, and in larger classroom sized packs ideal for teachers. Find out more on the Write Size website, where you can also order online or find a full list of UK stockists, including Ryman Stationery. I agree actually. You pay more for fancy decorated pencils that are gone or snapped in 3 weeks, and don't really have any 'advantage'.